Need a mortgage? Our nationally licensed mortgage brokers can help. Simply fill out this form to contact Mortgage Super Brokers. 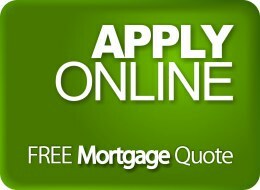 Please note, if you're looking for mortgage advice or would like to know if you qualify, use online mortgage form instead. This will give us a much better understanding of your situation. Preferred day to contact you? If you're having trouble with the website, or if you're interested in using one of the features of our website on your own, call or email us. Note: website support staff cannot answer any mortgage questions. Have a comment or question? Just ask! Rejoice! For the greatest mortgage calculator is finally here! Experiment with different mortgage rates, terms, amortizations and payment schedules or compare two different mortgages with automatically generated charts and graphs. Unlike the banks, you don't ever have to haggle with us over our rates. We will show you our best rates, right from the start. No fuss, no muss. Why don't you check out our mortgage rates right now?